By Guest Bum Paul Lewin (Instagram @thepaullewin), founder of Chicago's Commonwealth Crew watch group. Presence and worth: that is my Quentin Tarantino, Pulp Fiction conclusion for this watch. How did I get to this notion? 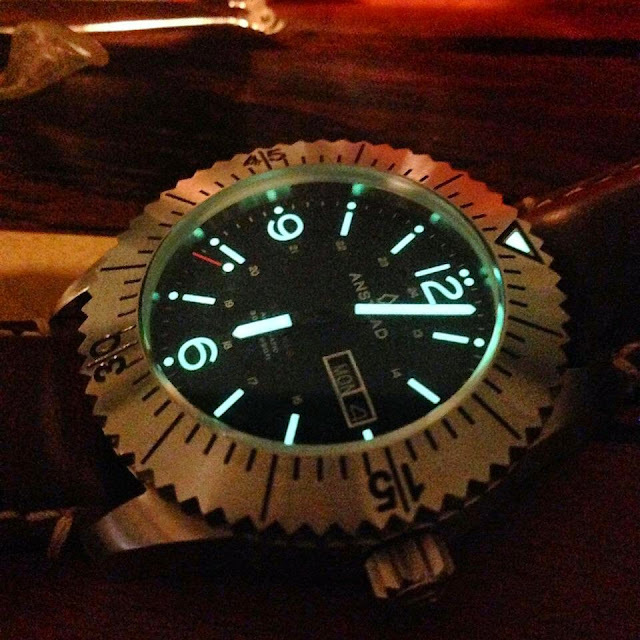 I borrowed the Anstead Oceanis from The Time Bum in a friendly watch exchange. I knew about this watch’s origin on Kickstarter back in 2012, and its wildly successful funding, so I was anxious to receive it. The watch was designed by Tom Anstead, a veteran naval officer, and his goal of creating practical and useful watch made sense to me. 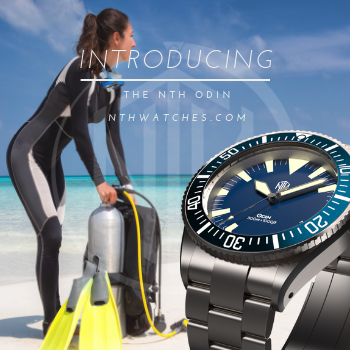 I am a fan of micro brand divers and I had high expectations for the 300m rated Oceanis. Upon trying on the watch, the first thing I noticed was its heft. The weight is not overbearing but it definitely lets you know that it’s there. At first blush, the simple case geometry seems to be a design oversight and with a diameter of 44mm and 14.3mm tall, a rather large one; however, the case sets the stage for more obvious and eye-catching features: the saw tooth bezel and crown. Making legibility and tactility key, the sharp geometry of the bezel and its etched and painted markers were clear features that set the Anstead apart from other divers. The 120-click unidirectional bezel takes some muscle to get moving but it’s not a deal-breaker. 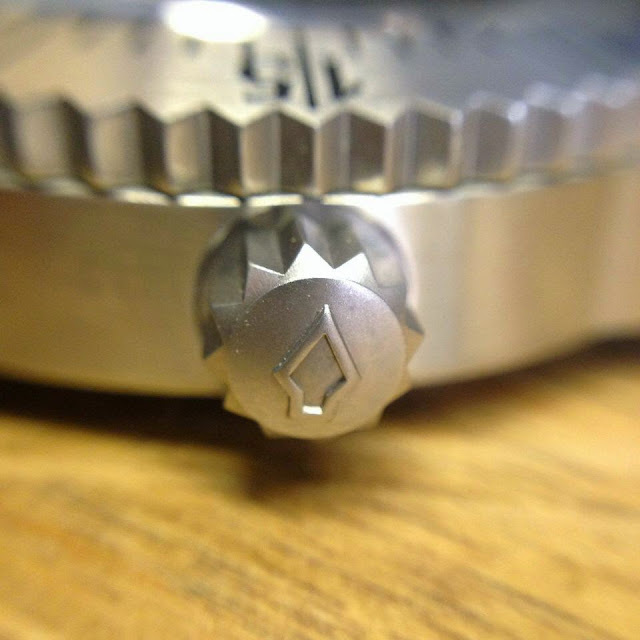 The screw-down crown with the cast sawtooth design is one of the best I have ever seen. It looks as though it used to be a transmission gear that was repurposed for its strength, and there is no question that your fingertips will have grip. 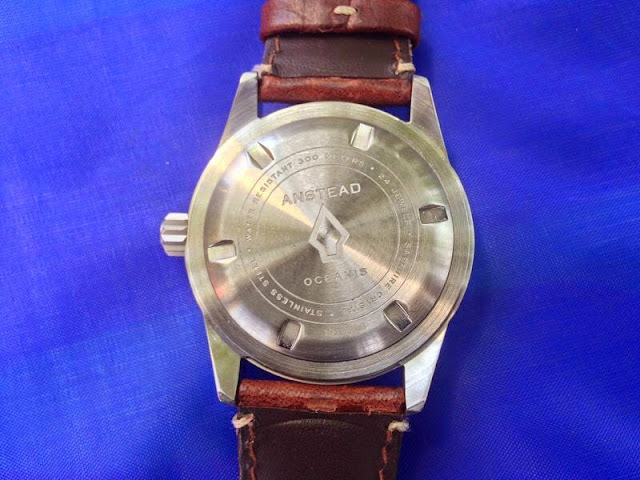 The case back is screw down with the Anstead arrow etched into it, along with general information about the watch. Inside the stainless steel case sits a 24-jewel Seiko automatic NH36a movement, an upgraded version of the faithful 7s36 with hacking and hand winding capability, and a 40-hour power reserve. This was an uncommon choice in 2012, and still a minority movement among micro brands. Why choose Seiko over Miyota or ETA? Why not? Seiko movements are accurate, reliable, inexpensive, and easily serviced. Moreover, it made perfect sense for Anstead's target market, as most potential owners likely already owned Seiko watches with a variant of this workhorse automatic inside. 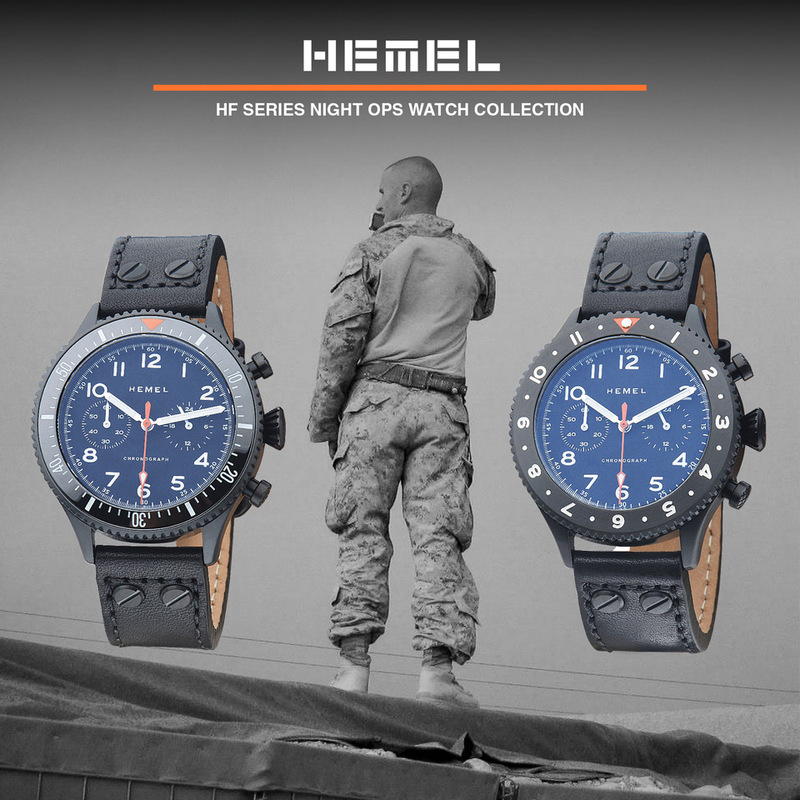 Underneath the AR-coated sapphire crystal, lies a unique dial, with a military flair in its structure and matter-of-fact display of information. There are tiny minute and second tick marks on the outer rim followed by long, pronounced hour marks. Aside from the 12, 6 and 9 arabic numerals, this long hash motif creates a cohesive design, unifying the dial and the bezel. It's a nice touch. The Anstead arrow logo pointing up towards the 12-hour marker and the upside down triangle pip pointing down from the bezel gives a nice visual bearing of “true north” on the watch. Perhaps a subliminal nod towards Tom's nautical and military background. The day/date window is outlined in polished steel. 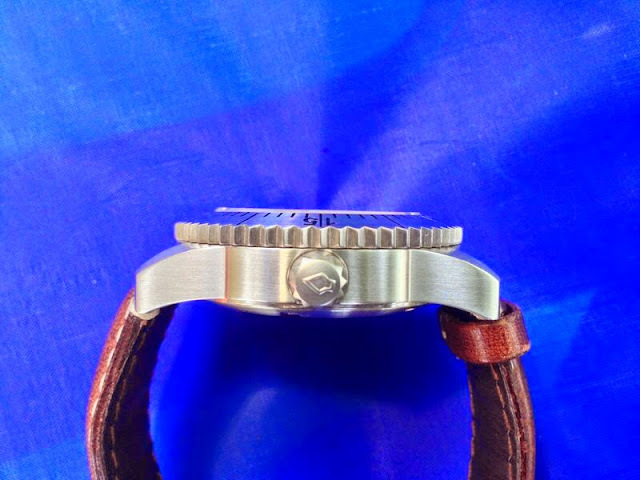 The watch originally had white day/date wheels, but the day was printed slightly off-register, so The Time Bum treated the watch to a common Seiko modification of switching out the wheels from a white background with black lettering to ones from a 7s36 with the opposite color setup. Had I never seen the mod on this watch, I probably wouldn’t think much about it; however, after seeing it in person I feel that this is the way the watch should have been manufactured. The only other detail about this dial that I’m not sure about are the 24 hour markers. 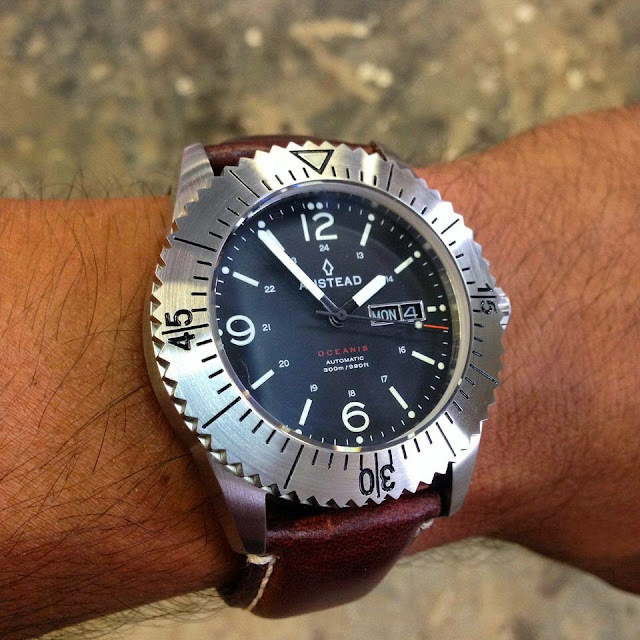 They seem unnecessary on a dive watch, particularly with the large wingspan of the bezel and long hash marks on the dial, and their absence could give some breathing room to the inner area of the dial. Finally, the subdued minute and hour hands, and a sweeping orange-tipped second hand bring the whole dial to light. They may seem a little thin for a diver, but the restraint goes well with the contrast of white Superluminova ink and the matte black dial. 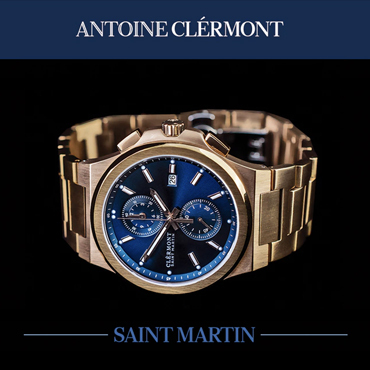 The Oceanis was offered with either a black rubber or tan leather strap. The Bum ordered his with the leather. He later replaced with a dark brown, oil tanned Hadley-Roma strap, which is how I recieved it and this was the perfect combination in my book. 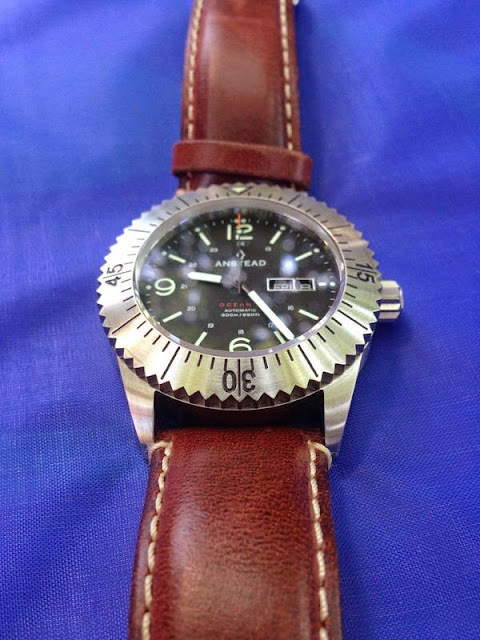 The padded and tapered strap transitions easily from the weekday to the weekend, and the shine of the bezel against the dark leather gathered many nods of approval when the Anstead was passed around at a recent Commonwealth Crew watch gathering. With a design that set itself apart from the crowd, an unexpected movement, and a dial that just made sense, the $399 retail price was a no-brainer, and the $250-275 pre-order was a bargain. From the 2012 Kickstarter campaign to today, Anstead has developed a following and the brand is growing. Tom is now taking pre orders for a new Oceanis which is an evolution of the original (see The Bum's preview below). 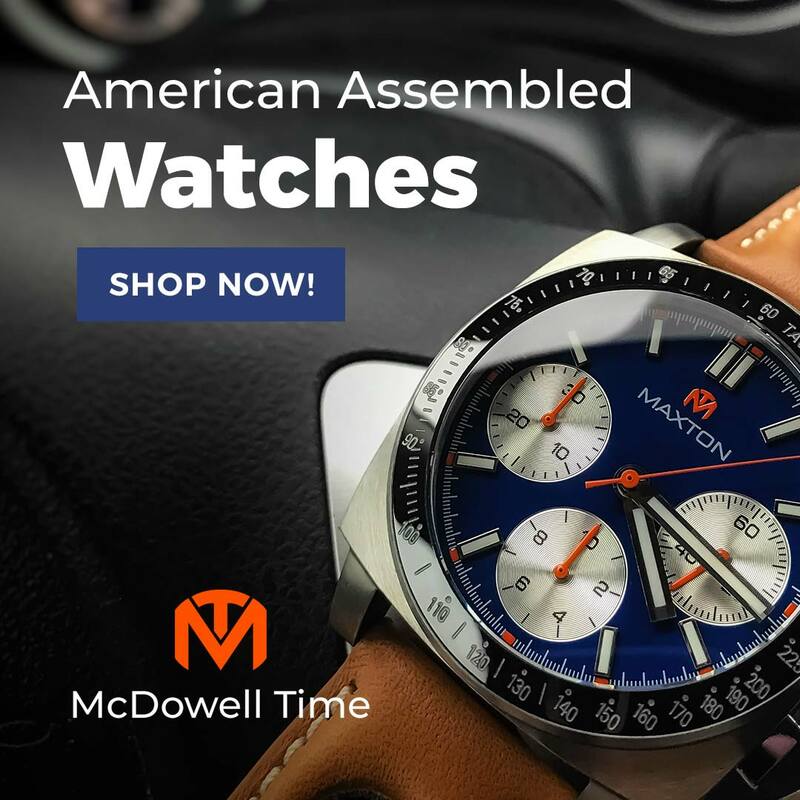 Clearly, if you know your watch market and you thoughtfully inject into it what you love about horology - like Anstead has done - you can create a watch with those two key elements: presence and worth.